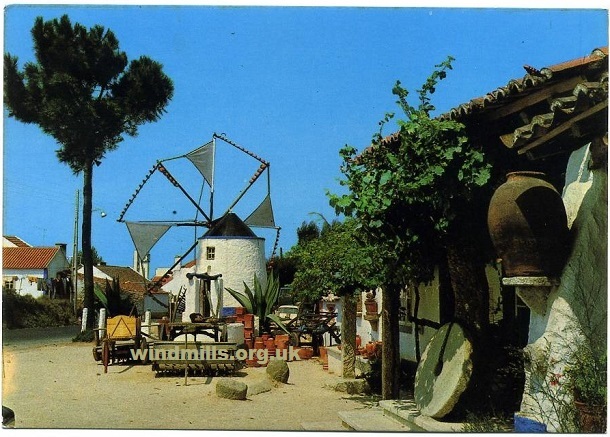 A selection of scanned images from our picture archive of windmills in Portugal. 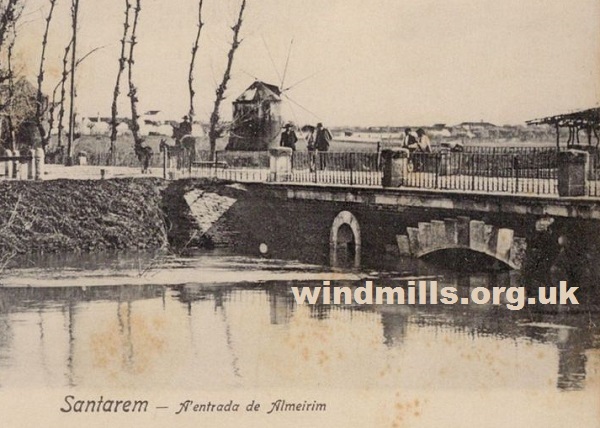 An old picture postcard from 1905 featuring a windmill in Santarem, Portugal. 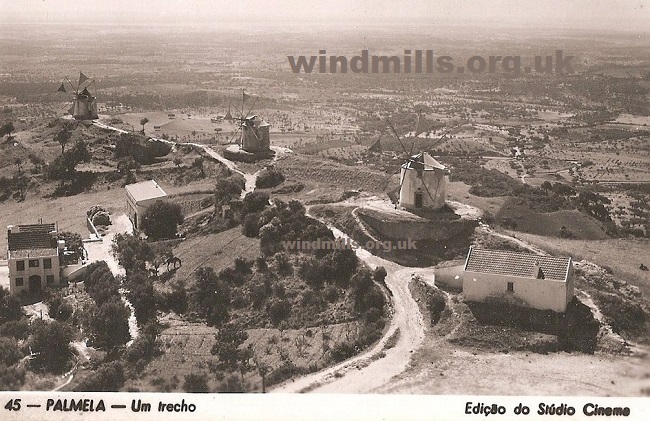 Windmills in Palmela, Portugal, on a 1950s picture postcard. 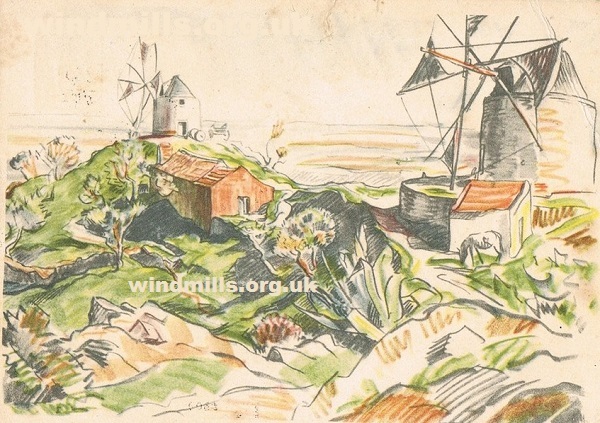 A lovely art postcard of two of the windmills in Palmela, Portugal. 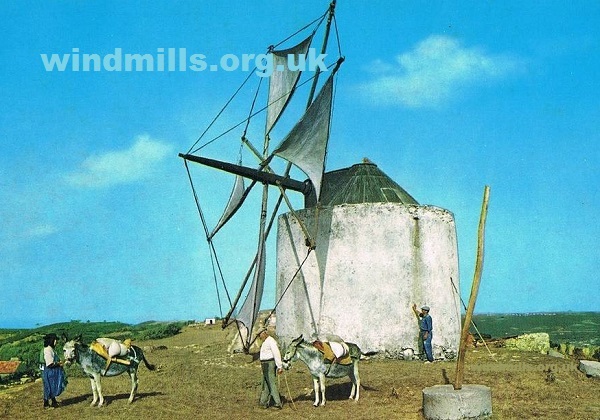 A late 1960s postcard image of a mill and donkeys near Leiria in Portugal. A postcard image of a windmill on the Azores. 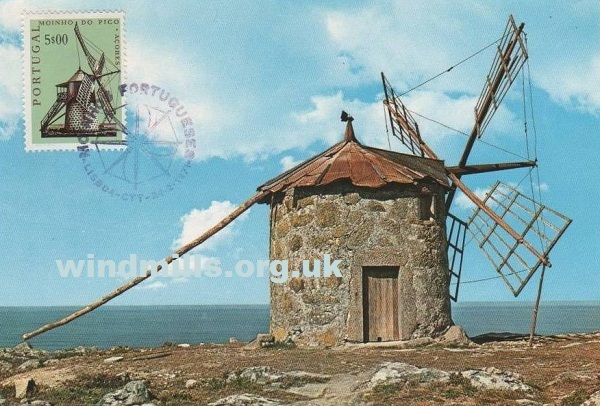 This one posted in 1971 and featuring a super windmill stamp! 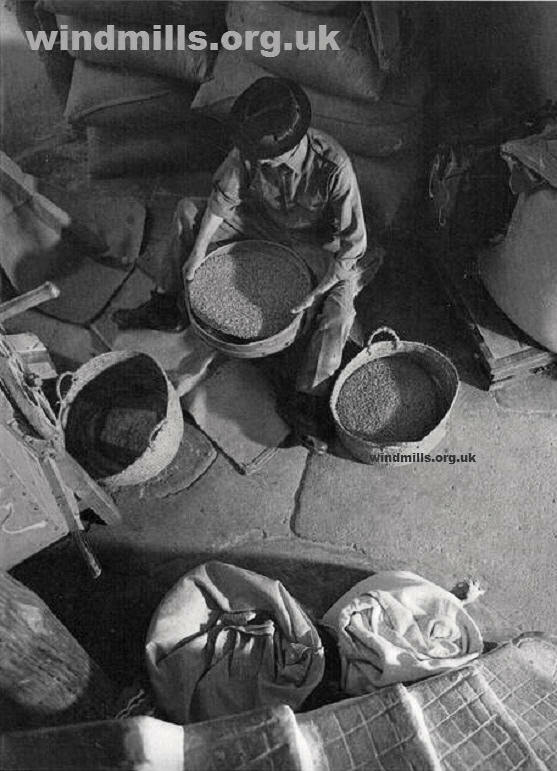 A scan of a postcard sent to us in the late 1990s of the interior of a Portuguese windmill. Another ‘modern’ postcard from the 1990s. This of a mill and ‘typical’ inn in Mafra, Portugal.